AutoRunWizard.com - AutoRun Wizard FAQ - Can I add Menu to my autorun with AutoRun Wizard? Creating is menu in AutoRun Wizard is simple using HTML, however we do not provide a user interface to create one. There are many autorun cd products on the market that go into great depths to create beautiful autorun menu's, we do not think it is necessary. You can create a professional, clean menu system using standard HTML and auto launch that html file. It is that simple. Let's say, for example, you wanted to create a menu that contained links to different items on the cd. 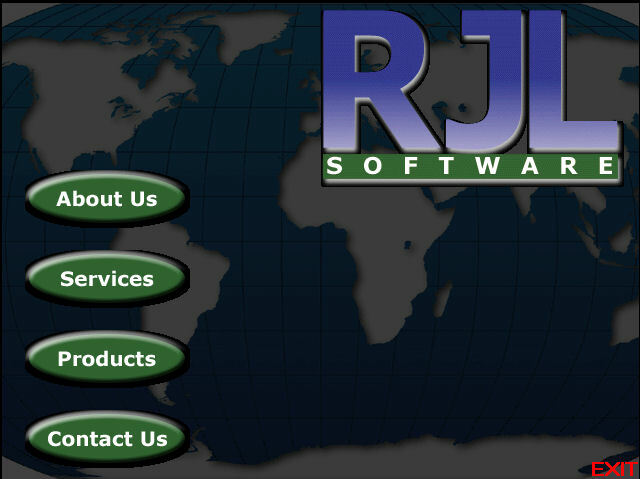 In our example we will use an HTML page that has information about our Company. 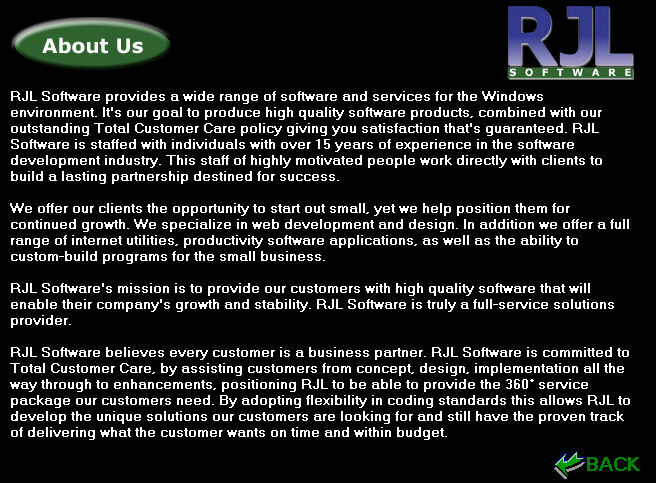 Below is the example HTML page of the About Us html file. In our example, the Back link at the bottom right takes you to the main menu. 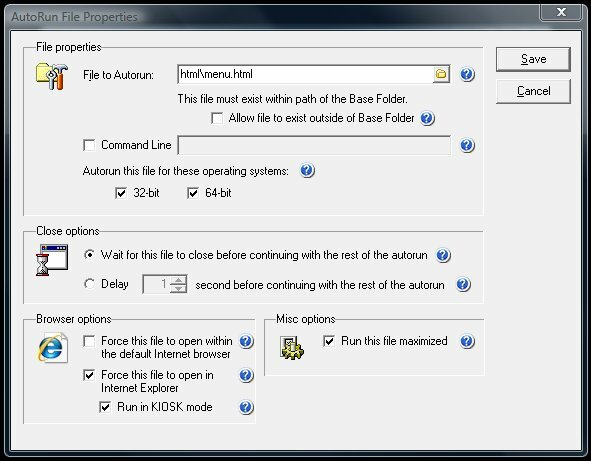 Below is the example of what the settings would look like within AutoRun Wizard to launch your cd autorun HTML menu in KIOSK mode. As you can see with AutoRun Wizard you can create an extensible cd autorun menu system using simple (or complex) HTML, depending on our skill level with HTML. AutoRun Wizard gives you control over all aspects of your cd menu creation, unlike other autorun programs which force you to use their clunky hard to use interface to create your menu. Creating this type of menu will make your autorun look professional and powerful. Make sure you have downloaded the latest AutoRun Wizard for the most up to date features.